Hello there! Hope you are all doing well! 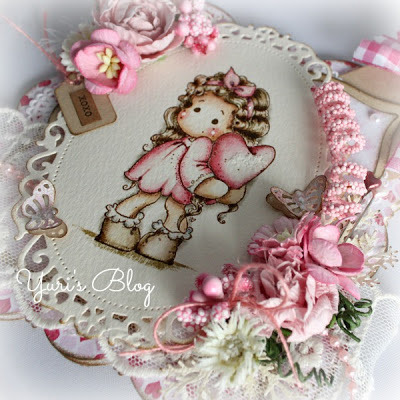 I would like to thank you for visiting my blog and all the wonderful comments on my blogs, mixi, and Facebook. 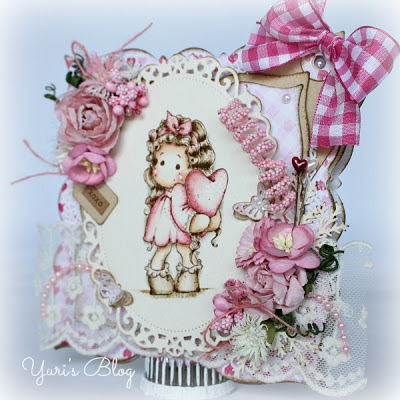 Today I'd like to show you a sweet Valentine's card that I made with this darling image Magnolia "Tilda Hiding Heart" coloured with Distress Inks. I'm entering this card into the Valentine challenge on mixi MagnoliaLovers community in Japan. This challenge's theme is 'use ribbons or lace' and 'use something Heart'...of course our project must include a Magnolia image! 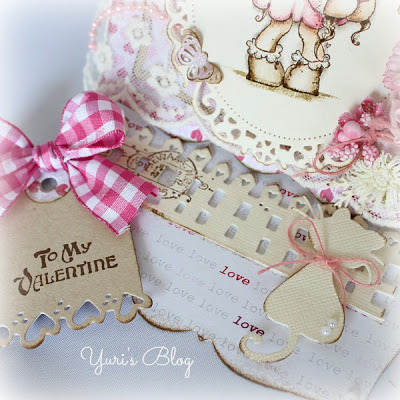 I had a play with some hearts , Ribbons, Lace, and Whimsy Romance Heart patterned papers which I had given from a very dear friend. ... Thank you so very much my dear. This was my first time playing with my Magnolialovers friends! That is SO fun to make!! Thank you so much again for visiting me and for all the sweet comments you leave! Have a lovely day! 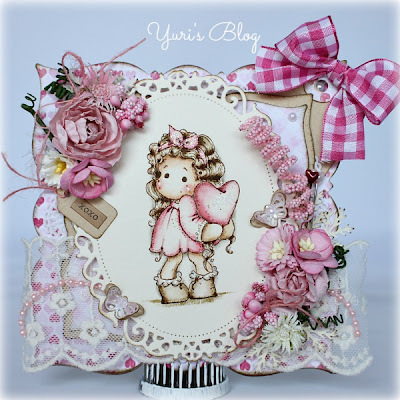 This is beautiful Yuri, I like the sweet Tilda, I like the lace the flowers and the bow. Oh my goodness Yuri! 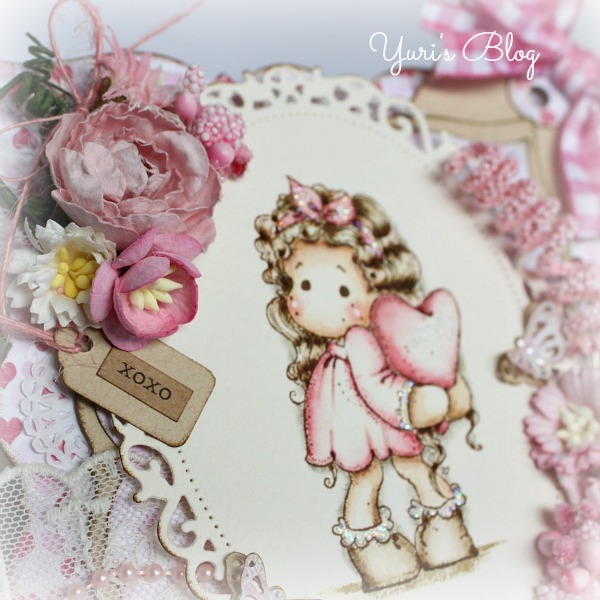 Your card is beyond beautiful! So so amazingly stunning.